We are proud to announce that the 4th Welsh Open – Cleddyf Y Gaeaf Cymraeg – will be taking place on the 16th and 17th February 2019 and is open to all BKA, EKF and IKF members. The taikai will be run in the same format as previous years. Team event is 5 people per team. This style of taikai is modelled after gyokuryuuki, the inter-high school “king dragon flag” championship in Japan and is (excuse me if I’m mistaken) the first of its type (but not the only!) 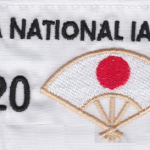 for international open taikai outside of Japan. The basic idea is for the winner to stay on. The first fight is always senpo vs senpo. If the fight is a draw, then both fighters go off and the next two come on. If one fighter wins, he stays on and fights the opposing teams jiho. 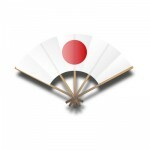 For a team to win, the opposing teams taisho must lose his match. Senpo wins the last match and the team progresses to the next round. Taisho vs fukusho (2 wins and progresses to the next round).